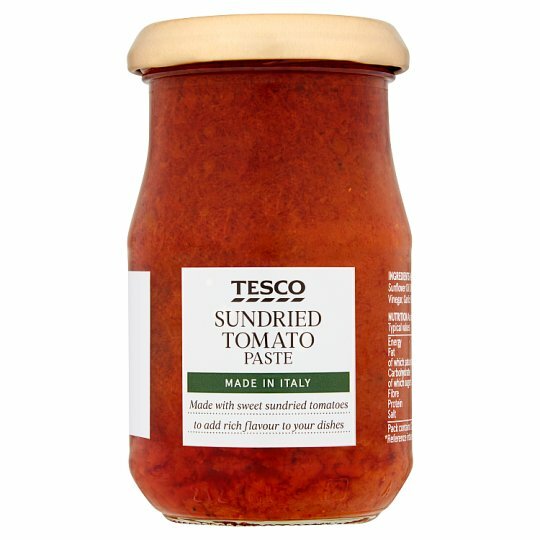 INGREDIENTS: Rehydrated Sundried Tomatoes (40%), Sunflower Oil (34%), Tomato Purée, Sugar, Salt, White Wine Vinegar, Garlic Powder, Black Pepper. Store in a cool, dry place. Once opened, keep refrigerated and consume within 2 weeks and by date shown.